The three wards with the slowest average speeds along the route. The three wards with the most bunching along the route. Buses move many more people than cars yet take up a fraction of the space on city streets. Without more investment in bus service, Chicago risks more people abandoning transit for transportation options that are more expensive and less efficient, healthy, and green. However, upgrading bus service is not a priority for the mayor and city council. 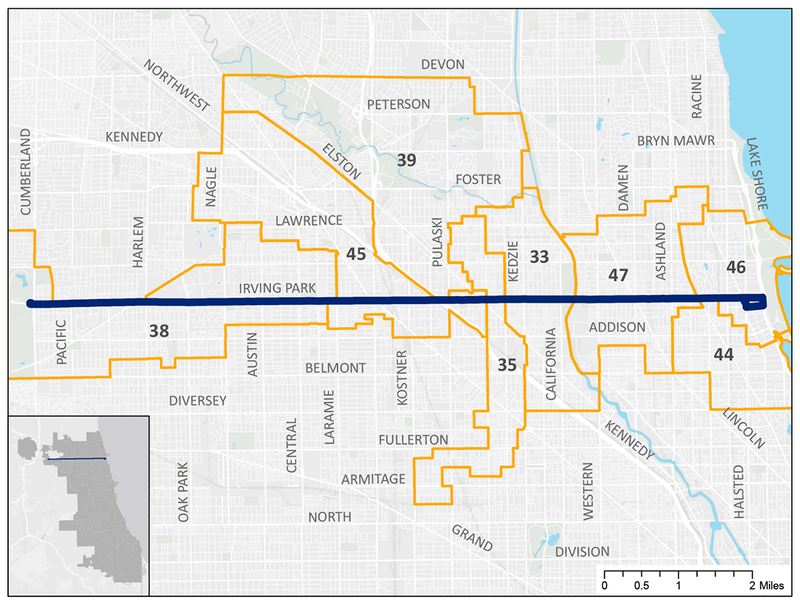 Let’s ask our elected officials to prioritize bus service on city streets to create a world class network with fast and reliable service that serves ALL Chicagoans! Interested in this methodology? Want to learn more about the campaign? Go to activetrans.org/busreportcards or contact Julia Gerasimenko at julia@activetrans.org or 312-216-0489.